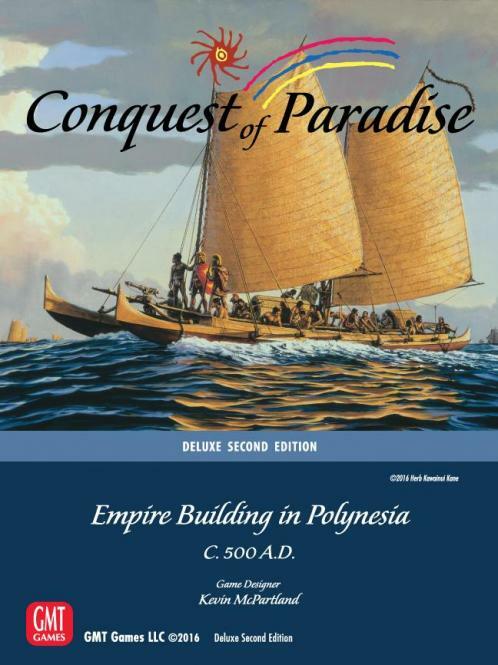 Conquest of Paradise is a well-tested, fast-playing design geared to appeal to players who enjoy games like New World, Civilization, andConquistador. You can learn the game in 10-15 minutes and finish a complete game in 60-90 minutes. One full-color Rule Book with examples of play, advanced rules, historic references, and only seven pages of rules. 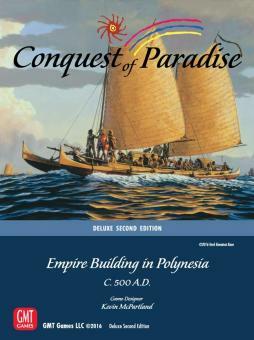 One Designer’s Notes book with twenty pages of Polynesian history, geography and mythology, player’s notes and designer’s notes.